My son is home from college and he always has his hometown buddies over, so I’m planning out Budget Friendly Meals that I can easily make right after work, OR make ahead. I came up with this super Easy Cheesy Baked Bacon Ranch Chicken Recipe and my family devoured it! YUM! 4 Cook Chicken Until What Temperature Inside? 5 Can You Cook Chicken Slightly Frozen? What perks this super easy recipe up is…well not just the bacon, because everyone LOVES bacon. 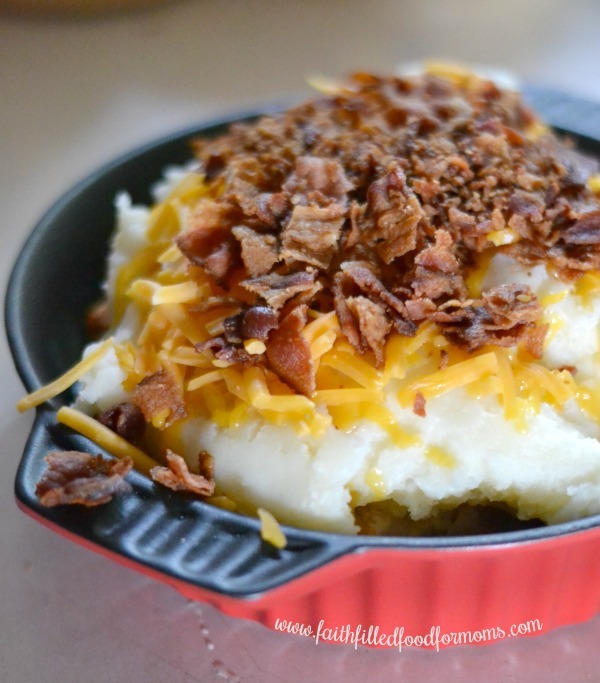 It’s what is UNDER all those cheesy potatoes! Check out the secret ingredients below…It’s the baked chicken with dry ranch dressing mix! Dry ranch dressing mix kicks boring chicken recipes up to a whole new level. YUM! Spray your cooking dish and add chicken breasts. I always give my chicken a quick spray with the cooking spray so they don’t dry out. Sprinkle with Ranch Dressing Mix to taste. My favorite is Uncle Dan’s Original Ranch Mix…it’s simply the BEST! Now Sprinkle with a bit of Pepper if you like. Bake in oven for half hour to 45 min. Check at half hour to see if your chicken is done. Cook Chicken Until What Temperature Inside? Chicken Breast should always be cooked until a temperature of 165 degrees. The best way to determine this is to have a simple meat thermometer. These are super inexpensive. If you don’t own one, you should be sure that your chicken breast is not pink inside. Don’t over cook though or the chicken will be dry. Chicken should be white and moist on the inside. IF you do over cook…it’s ok. Live and learn. While chicken is in the oven cook your bacon OR use Bacon Pieces that you’ve prepared or Bacon Pieces that are pre made. You can cook your bacon on the stove, in the oven or in the microwave! Make your instant mashed potatoes just before you are going to take the chicken out. Now you can of course make real mashed potatoes but I like to use instant because I use real instant potatoes and they are still delish. Top with potatoes and cheese. Put back in oven just until cheese melts. Now add the Bacon and WOW you have got a super easy and budget friendly meal with hardly any effort. Can You Cook Chicken Slightly Frozen? Why YES you can! I do this ALL the time. If you cook your chicken from slightly frozen then you simply need to add cooking time. Cook for double the time a recipe calls for. For example: if a recipe calls for 1/2 then double to 1 hour. Quick tip: Make a whole package of bacon on the weekend and then save a 1/2 cup for this recipe during the week! 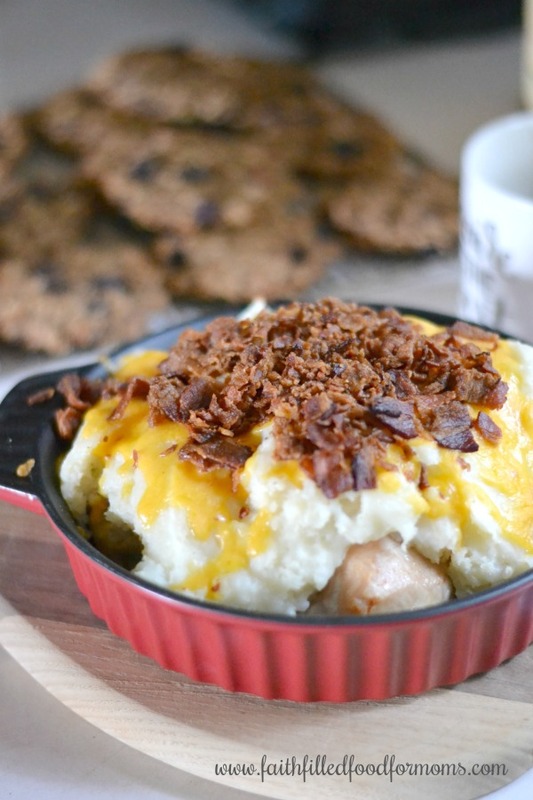 A super Easy Cheesy Baked Bacon Ranch Chicken Recipe. 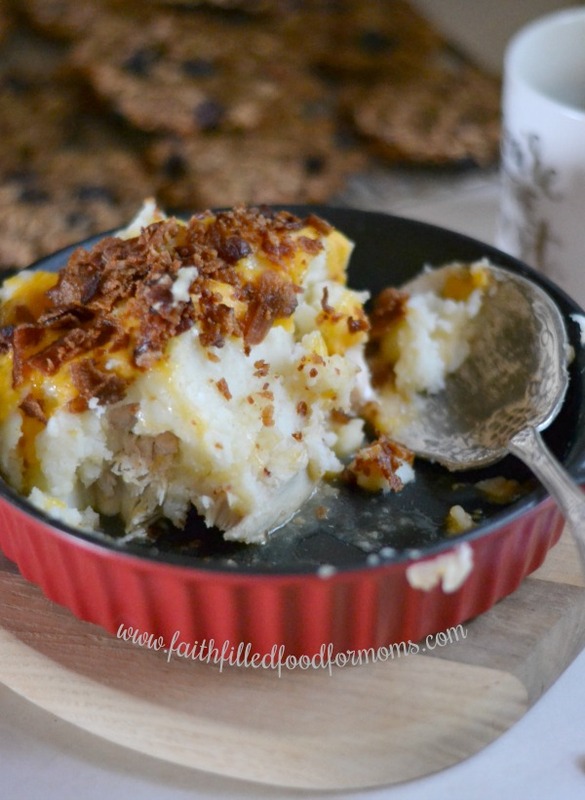 Simple ingredients makes this a great budget friendly meal that your family will LOVE! Moist & hearty!